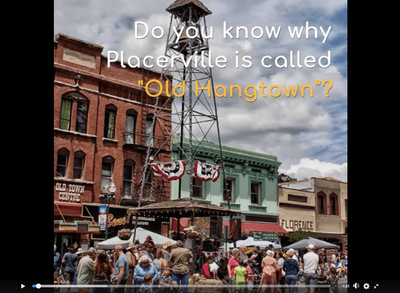 Placerville, CA is one of the first community's to embrace Locable's Community-Wide Initiative and Local Connections technology. 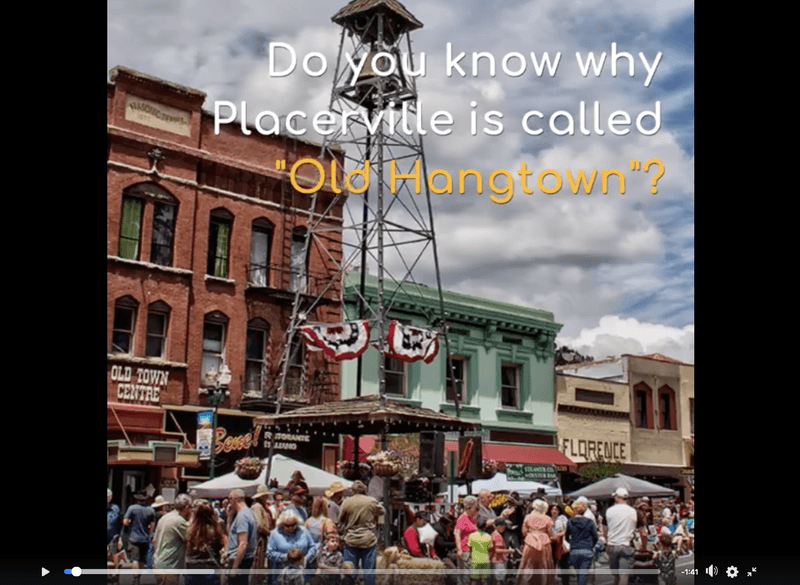 Placerville is also known as "Old Hangtown". There is a lot of misinformation about the nature of the moniker and so we decided to create a brief explainer video as part of the work with do with them to promote the Downtown Association. 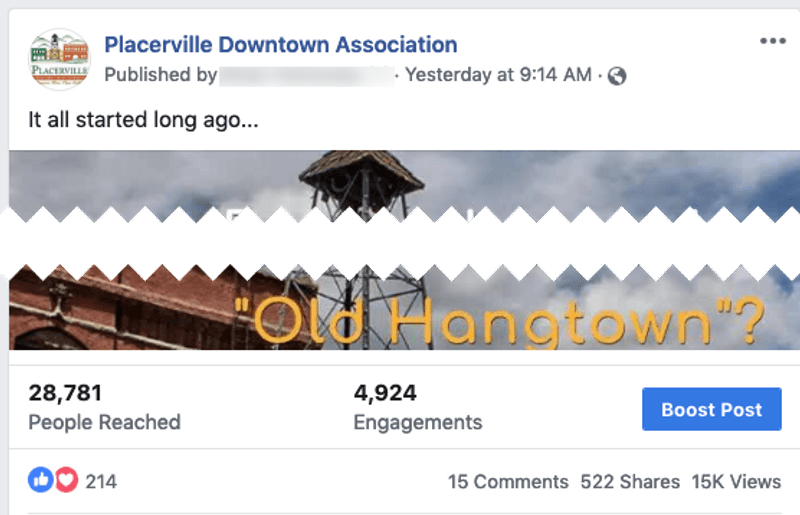 The video was posted to the Placerville Downtown Association Facebook page at 9:14AM on March 7th and immediately began gaining speed (the page had just over 5400 'likes' at the time). One of the nice things about a post like this is that it gets shared - a lot! 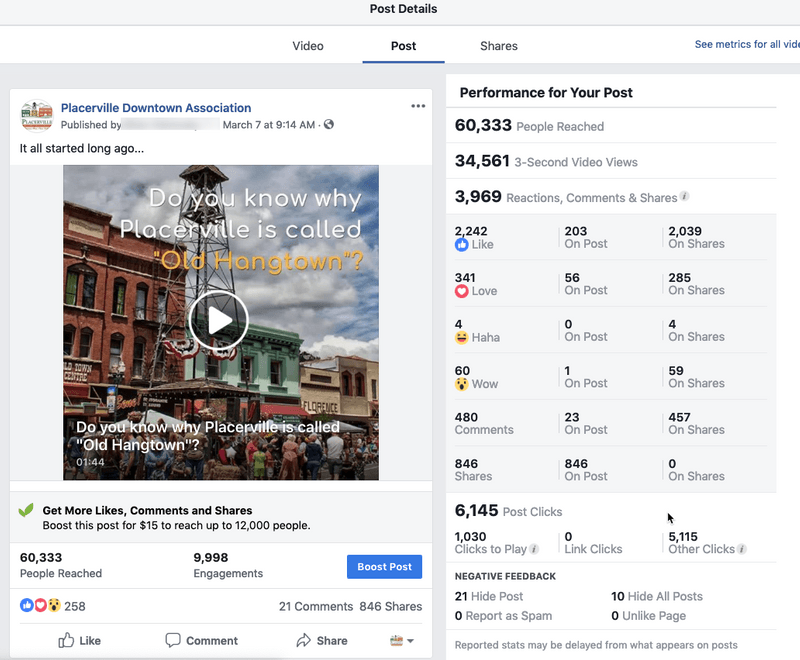 While many of those shares result in people 'liking' the share, only the 'likes' or reactions on the post itself can be invited to become fans/followers of the page. Even still, you can see from the graph above that inviting people who liked this post to like the page resulted in a significant uptick of page fans. As you can see above, within a day the video had reached nearly 30,000 people and had nearly 5,000 engagements on 15k views. 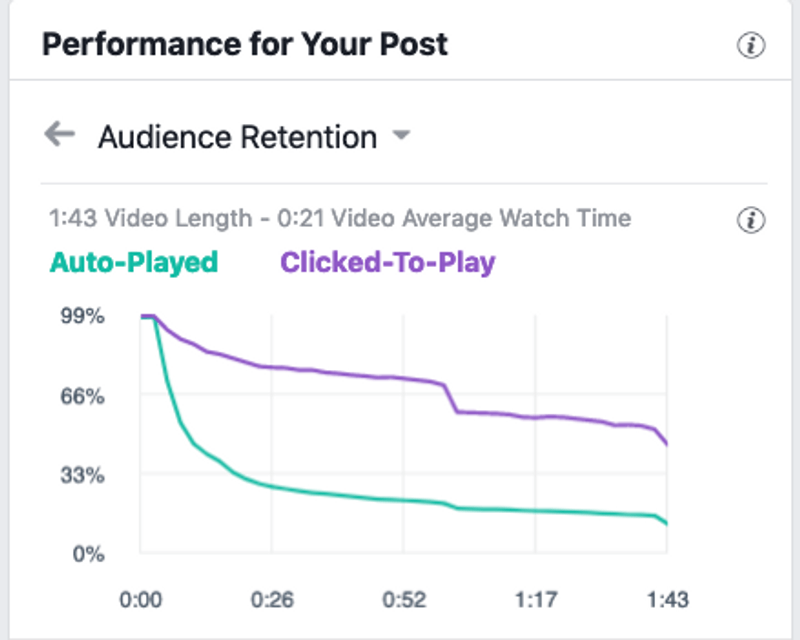 An interesting thing to note, is the difference in engagement between those who saw it via auto-play and those who clicked to play. 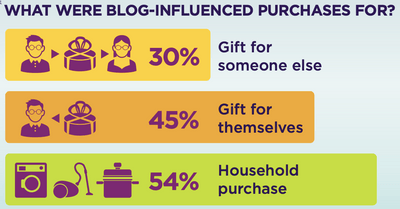 No surprise, those who clicked were far more engaged throughout - given the defaults, the vast majority of people fall into the auto-play bucket. 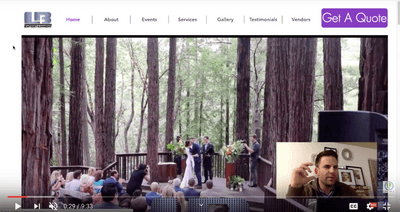 Nevertheless, the video garnered significant engagement of all types and had solid viewing which explains why it reached so many people. As we write this less than 2-weeks after initially posting the video, the statistics are quite fascinating. Over 20k minutes of video watched - that's over 2-full weeks of video watched! History, local insights and knowledge, and the unique if not mundane things that make "here" special are truly engaging when delivered in an effective medium. What can you share about your community to remind people of where they came from or why they're "here"? 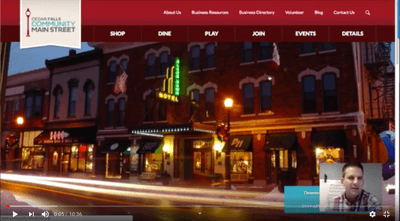 Locable is proud to support communities nationwide by partnering with Main Streets, Downtowns, Chambers, and Towns - not to mention local businesses and nonprofits. If you'd like a hand growing your reach and impact or automating cross-promotion and collaboration, we'd love to hear from you.